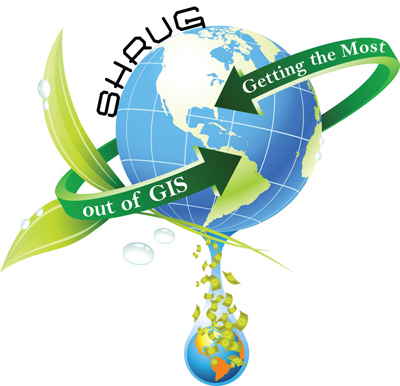 "Getting the Most Out of GIS"
We invite you to join us at our Eighth SHRUG GIS Workshop . We want you to participate by being an attendee, a vendor, a speaker, and/or a poster presenter. We have some exciting changes this year. Standard Registration will begin Monday, September 1st at a rate of $100.00. Late Registration at a rate of $125.00 will begin Monday, October 16th up to and including walk-in registration at the workshop.